An European based independent and standalone web developer for 10 years. 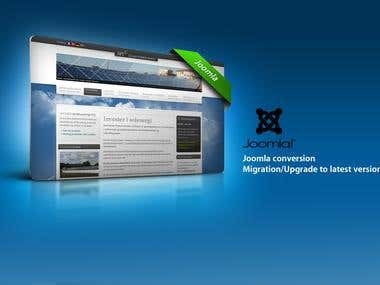 Mostly focusing around JoomlaCMS framework: - Extensions/Plugins/Modules (setup, editing, customizing... ) - Templates (.psd to Joomla, xHTML to Joomla, T3, Gantry, Helix, Bootstrap... ) - Upgrade/Migration (Joomla 1.0.x, 1.5.x, 2.5.x --> J3.x) This account is a fusion from my previous activities on vWorker (Renta-a-coder) and Scriptlance site, which demonstrate various spectrum of skills and projects being done ever since. Working time is CET but can be adjusted if needed. I don't prefer hourly rate, I work per project mostly. Method of communication is through messaging board on this site, chat. Worked for local company doing joomla projects. I worked for Artversion, Chicago. 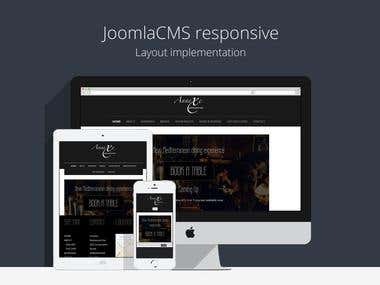 Joomla related projects.